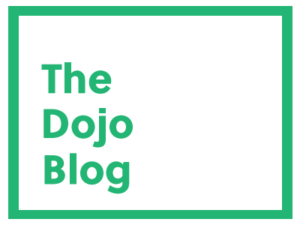 In a number of this blog’s previous posts, I’ve jumped into some of the more specific aspects of sustainable events, like how to manage your event according to ISO 20121, or the pros and cons of using carbon offsets. With a mind for the basics, I’d like to go back and answer the fundamental question: What is event sustainability? Let’s begin with the concept of sustainability first. In broad terms, sustainability (or sustainable development) is about meeting the needs of the present without compromising the ability of future generations to meet their own needs. More specifically, sustainability is about maintaining the long-term health of our economy, society, and environment, while going about our daily business. 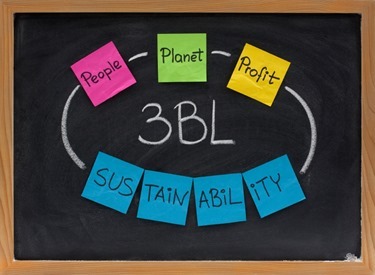 This combination is often referred to as the triple-bottom-line approach. Events themselves are very complex too. They demand a high level of professionalism to execute well. They consist of many moving parts and depending on the size and duration of the event, an event planner could be addressing a range of issues relating to venue, food and beverage, transportation, accommodation, marketing materials, etc. Introducing a degree of sustainability into the mix then can be an overwhelming idea. With the right approach, however, it doesn’t need to be a monumental task. In fact, we daresay at Green Event Ninjas, that this can actually be a fun and creative experience. Event sustainability considers the triple bottom-line impacts relating to all parts of an event. For example, in terms of the venue, you may consider things like whether the building is powered with renewable energy, what kind of waste diversion rates they can achieve for your proposed event, or whether the site is accessible by affordable means of transportation (e.g. public transit). In terms of food and beverage, you may choose to hire a caterer that can serve everything in reusable place settings, cooperates with a local mission to donate any food that wasn’t served, or transports the food in a fuel efficient manner (e.g. hybrid or electric vehicles, bicycles). The idea is to do whatever is appropriate and realistic for your event. This is one of the most common misconceptions of a sustainable or “green” event; that it must immediately result in a ton of extra work and that there are going to be all sorts of crazy details to keep track of. But that does not need to be the case. The scope to which you determine to plan for sustainability is entirely up to you! You may choose to start small one year by knocking off a few little items like using reusable name badges and printing your marketing materials on recycled paper. Then, in the following year, you may choose to work with the caterers and then the year following that, you could make a bigger decision regarding your choice of venue. What we’ve found is that given the right approach, planning for a sustainable event can actually be a fun exercise. Tap into the creative potential of the event planning sphere and you’ll be surprised by some of the interesting and entertaining solutions people can come up with. So what is event sustainability? In the practical sense, it’s about finding a balance between the economic, social, and environmental factors of an event. From a creative point of view, it’s flexible; whatever you choose to make it. There’s no checklist (or shouldn’t be) to tell you exactly what sustainability is. Every event is unique, offering new problems, new perspectives, and new opportunities. Run with it, and before you know it, you may find that you have some serious skills as a green event ninja. Photo credit (in order): ©iStock.com/marekuliasz; ©iStock.com/mediaphotos; ©iStock.com/BCFC.